Alohomora! Unlock the magical world of Harry Potter — listen in to the entire best-selling Harry Potter series now as audiobooks performed by beloved English actor and comedian Stephen Fry. J.K. Rowling is a best-selling author and the creator of Harry Potter. 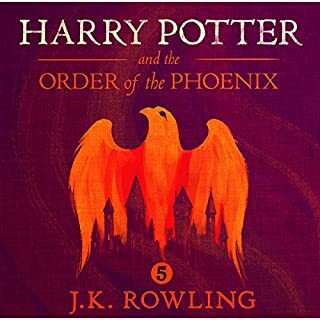 The Harry Potter books, published over a decade between 1997 and 2007, introduce us to the magical adventures of young wizard Harry Potter as he heads off to Hogwarts School of Witchcraft and Wizardry. 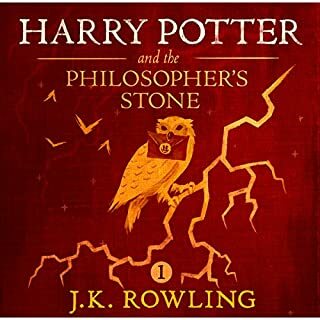 The first book in the series, Harry Potter and the Philosopher’s Stone was published in June 1997 by Bloomsbury. 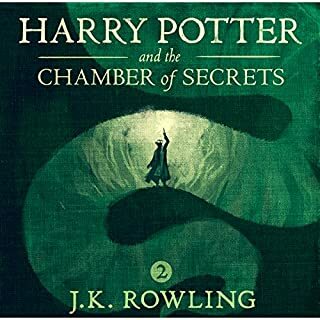 The second title Harry Potter and the Chamber of Secrets was published in 1998, followed by Harry Potter and the Prisoner of Azkaban in 1999. 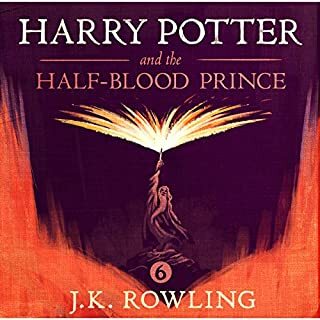 The fourth book, Harry Potter and the Goblet of Fire was published in 2000, next came Harry Potter and the Order of the Phoenix in 2003, and Harry Potter and the Half-Blood Prince in 2005. 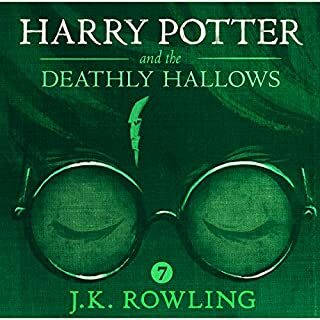 The seventh and final book in the Harry Potter series is Harry Potter and the Deathly Hallows, published in 2007. 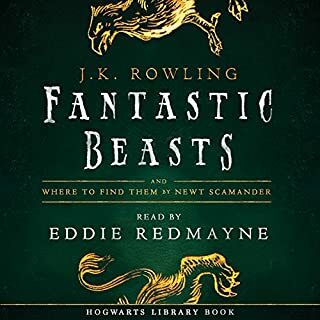 Also available to add to your Harry Potter book collection is Fantastic Beasts and Where to Find Them (2017), audiobook read by Eddie Redmayne. The best-selling Harry Potter books have been translated into 65 languages and read by hundreds of millions around the world. It was on a train journey between Manchester and London that Rowling began writing the Harry Potter series. What followed was a decade of masterful storytelling as Rowling wrote the seven novels that introduced the world to Harry Potter, Hermione Granger, and Ron Weasley. Rowling published the Harry Potter books under the pen name ‘J.K. Rowling’ because her publisher feared a woman’s name would not appeal to the book’s target audience of young boys. The Harry Potter books are not Rowling’s only works published under an assumed name. 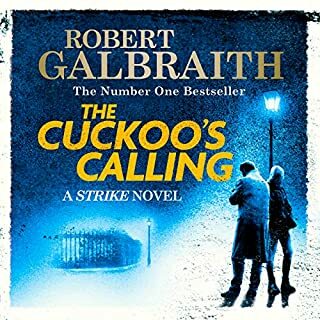 In 2013 Rowling published her first crime novel The Cuckoo’s Calling under the pseudonym ‘Robert Galbraith’. The Cuckoo’s Calling is a gripping mystery and the first in a popular series of crime novels following the pursuits of private investigator Cormoran Strike. Before becoming an author Rowling studied French and Classics at Exeter University and worked as a researcher at Amnesty International in London. Joanne Rowling was born in Gloucestershire, England on 31 July 1965. “If you are a Harry Potter fan this is a must listen to. Eddie Redmayne did a great job and copies the inflections from his performance as Newt in the movie with the same name. This is not a novelization of the film but more supplementary to it.” Nicholas, Audible listener. “...for the Harry Potter fan, having one of the schoolbooks of Harry, himself, is a must! It reads like a encyclopedia, which it should, and having Eddie Redmayne narrate is the best possible choice as he IS Newt Scamander.” Renee, Audible listener. Between 2001 and 2011 the Harry Potter series was adapted for film. The seven Harry Potter books became eight movies, starring Daniel Radcliffe as Harry Potter, Emma Watson as Hermione Granger, and Rupert Grint as Ron Weasley. Rowling is also the author of the 2012 novel The Casual Vacancy. The book, Rowling’s first intended for an adult audience, is set in a fictional English village and explores themes of politics, class, and social issues. 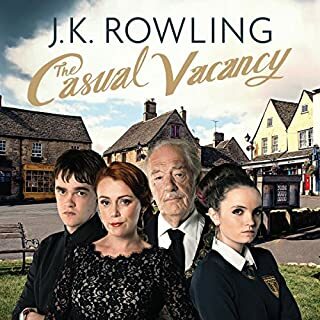 The Casual Vacancy was adapted for television in 2015. Rowling is the recipient of many awards and honours, notably receiving an Order of the British Empire (OBE) for services to children’s literature. She is the founder of children’s charity Lumos, which works to end the systematic institutionalisation of children. Rowling lives in Edinburgh with her family. “I would recommend the Harry Potter series to anyone young (or young at heart). I would also recommend this as a great introductory audiobook for those newly subscribed to Audible. Stephen Fry brilliantly encapsulates the soul of the Harry Potter saga and his background in literature and acting shines through his flawless narration. The imagination, detail, and heart put into this series transcends age and it is for this reason it is already a modern classic beloved not only by children, but adults who wish to feel that wonder again.” Antony, Audible listener. Do you belong to Gryffindor, Slytherin, Ravenclaw, or Hufflepuff? Let’s find out! Climb aboard the Hogwarts Express and let beloved British actor Stephen Fry whisk you away into Rowling’s magical world of witchcraft and wizardry. 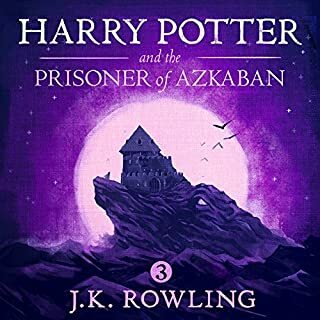 Audible listeners can’t get enough of Fry’s performance narrating the Harry Potter and the Philosopher’s Stone audiobook. 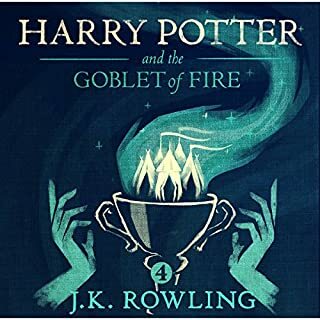 You'll be hooked too – so why not carry on listening – Stephen Fry narrates all seven audiobooks of J.K. Rowling’s popular Harry Potter books. “A good old fashioned detective story. I couldn't stop listening to this novel. Great storyline that wasn't stretched in length but the perfect amount of detail. Great characters, read beautifully.” Anna, Audible listener. “This is my first experience of Robert Glenister as a narrator and my goodness what a find. His voice characterisations are pure excellence, bringing the written characters to life in the most natural of ways. I'll definitely be seeking him out again in the future.” Jacqui, Audible listener. 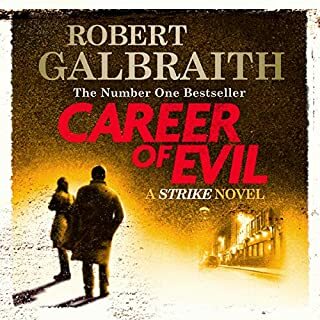 Step into an underworld of precarious intrigue... try your hand at crime fighting in central London with whip-smart private investigator Cormoran Strike. Here we see J.K. Rowling writing as Robert Galbraith. Experience Rowling’s gripping murder mysteries in The Cuckoo’s Calling: Cormoran Strike. 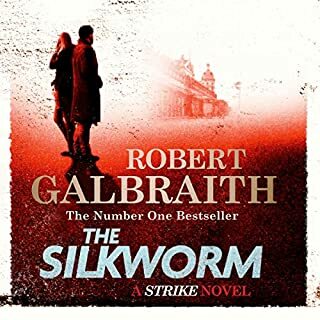 This is the first book in the Cormoran Strike series. English actor Robert Glenister’s narration will make you feel like you’re right there alongside Cormoran Strike.